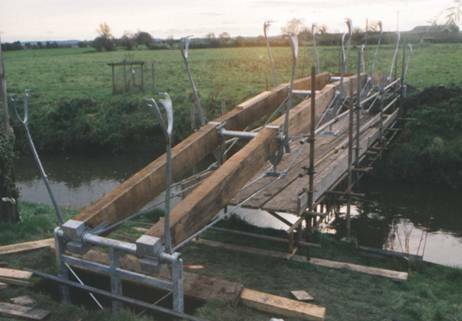 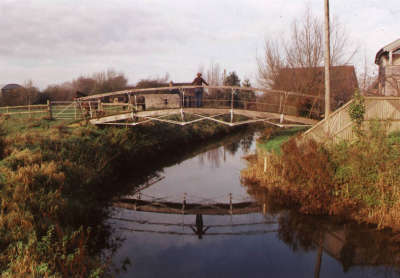 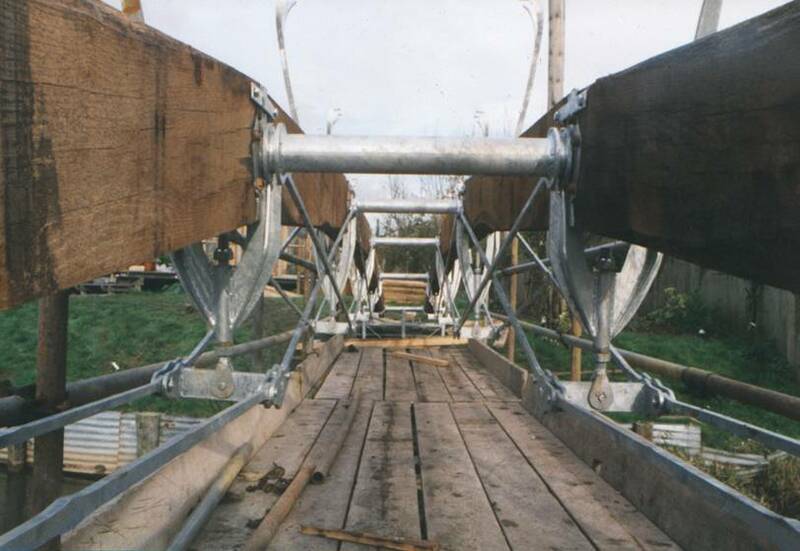 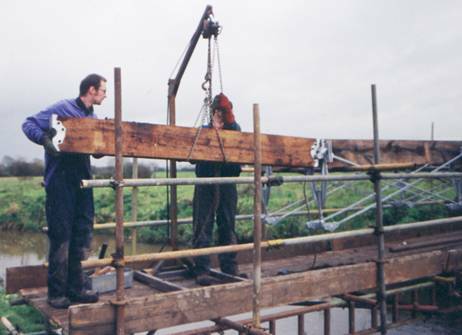 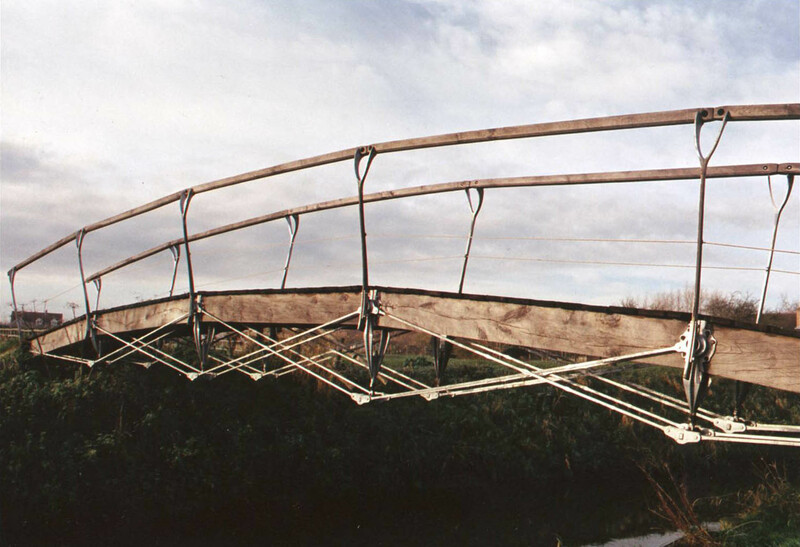 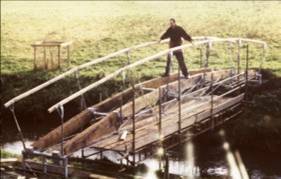 The bridge design needed to reflect and compliment the style of the house, and the atmosphere of the Somerset levels. It is made from green oak and galvanised steel. 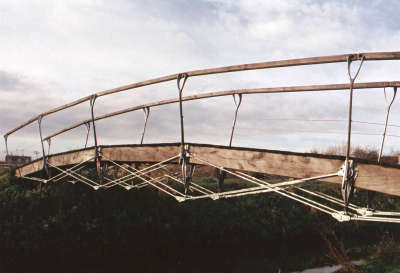 Fabrication and installation by Packer Studio.